Apparently, today is “things to terrify the reader” day here at Great Job, Internet! This latest entry proves how far technology has come. 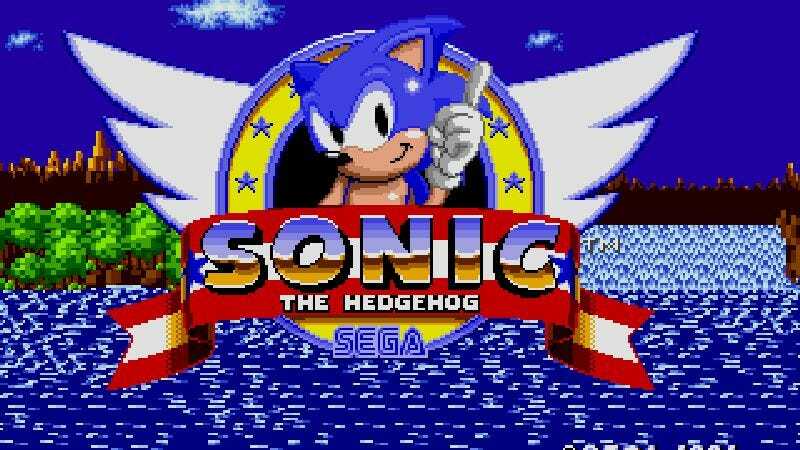 Previously, if someone had a weird dream about Sonic The Hedgehog, they would simply bore a friend by relating it and trying to make sense of it. Or, if they’re any sort of sensible person, they would bury it forever in their Mind Palace and never let anyone know the darkest thoughts that percolate inside their fevered brain. But that was the old way—long live the new flesh! YouTube user keepfilming apparently had an odd nightmare about Sonic in which the two are roommates, but keepfilming wants something more from the fast-moving hedgehog. And so they animated their dream, and…well, it’s certainly unique. It involves coaching from Dr. Robotnik, some inappropriate tickling, and then a moment of existential dread that either leads to freedom or a never-ending hellscape, depending on how one analyzes it. Everything is off, with weird proportions and stilted movements that are either a replication of the dream’s own internal logic or the limitations of keepfilming as an animator; but either way it certainly adds to the creep factor. It’s a short video, but it promises to stay with the viewer for many years to come. The next time Sonic appears in the wild of life, don’t be surprised if you’re overcome by feelings of dread and inappropriate awkwardness. UPDATE: It’s been brought to our attention that My Roommate Sonic is not, in fact, just a passive recreation of one person’s desperate need for connection with a giant blue nightmare rat, but a playable recreation. In fact, it’s one of four games in a free collection called Sonic Dreams Collection, which purports to be a collection of “lost” Sonic games, but is in fact an original pack of mini-games—ranging from bizarre to full-on, NSFW disturbing—from an outfit calling itself Arcane Kids. You can read more about the collection—or not, if you don’t really feel the need to hear about the intersection between the Sonic The Hedgehog and vore communities—at knowyourmeme, or download the collection yourself—unless you’d rather, like, go outside and read the Bible or something, which honestly seems like the much better call—over here.